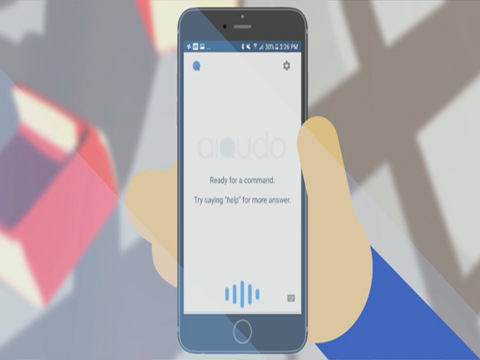 SAN JOSE, Calif.--(BUSINESS WIRE)--Aiqudo, a Voice AI pioneer that lets people use voice commands to execute actions in mobile apps, today announced that they have entered into an agreement for Aiqudo to work with Motorola’s Moto Voice experience globally. Aiqudo’s technology is now available in select Motorola smartphones in major markets around the world in English, Spanish, Portuguese, French, Italian, German and Russian. The technology will integrate seamlessly with the top apps in each market. Aiqudo’s powerful Voice-to-Action™ platform brings the ease and power of voice to the mobile app ecosystem. Mobile apps have become central to consumers’ lives, providing massive utility across entertainment, shopping, navigation, messaging, and more. With Aiqudo, Moto Voice allows instant access to these actions, enabling consumers to use their favorite mobile apps with simple, intuitive natural-language commands - hands free. Users get both verbal and visual results, which is essential for making quick decisions, and their private data stays private, within the apps they originally entered it in. For more information, visit: www.aiqudo.com.